Home / Uncategories / Criminalize Estimated Electricity Tariff FEMI GBAJABIAMILA Says At public Hearing On His Bill At House Of Representatives. 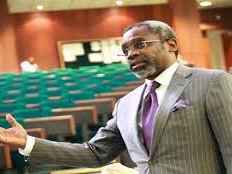 Criminalize Estimated Electricity Tariff FEMI GBAJABIAMILA Says At public Hearing On His Bill At House Of Representatives. Public Hearing on Bill to Criminalize Estimated Electricity Tariff held at House of Representatives. The Bill when passed will protect the DISCOs/ the Consumers and place all parties in a ‘win’ ‘win’ position. The history of power sector in Nigeria has been that of inefficiency, monopoly inadequate funding and high level corruption. Corruption on the part of many consumers who steal energy and their refusal to pay for power consumed, and on the part of the providers who milked consumers dry via outrageous estimated billing. An estimated bill is a situation when your electricity provider predicts the amount of power you would have used in a month based on your usage from the previous month. This is proper definition of Estimated Billing. a. It can be costly for suppliers to send an agent to your premises every month to do a reading of your bill. b. In some cases, it can be difficult to reach your meter. If you have unrestrained dogs, the agent may not be able to access it due to occupational health and safety risks. c. Similarly if your meter is located inside your house, the agent will not be able to take a reading unless you are at home. The research reveals that estimated bills are based on previous actual reading so that if the bill received is too high, it must be reduced the following month to balance or correct the irregularity of the previous month. Furthermore, the research reveals that SMARTMETERS which is about the same as pre-paid meters eliminate all issues arising from estimated billings. Nowhere in the world estimated billing is practiced the manner it is practiced in Nigeria. The practice is that a consumer must pay for what he consumed. There is therefore a metering system. The few cases where estimated billings are practiced are just the exceptions where the conditions highlighted above are available. But here in our dear country, estimated billing has been adopted by DISCOs as the norm and practice and accurate and exact billing the exception. Distinguished guests, ladies and gentlemen. Are the above the reasons why DISCOs estimate billings in Nigeria? I think the answer is no. The question is that are Nigerian metered in the first instance? In a further research, the Electricity and Water Authority (EWA) of the Kingdom of Bahrain reveals that all consumers must be metered. But when there is reason as those highlighted by AEDC to estimate a bill, the estimate must be based on your previous actual reading. It could be slightly higher or lower. Here in Nigeria, it is ever increasing. When a bill is estimated, it must be shown on the meter that the bill was estimated for record purposes. In the Kingdom of Bahrain, the meters provided is design in a manner such that the Customer and the utility officials can read the meter to determine the actual reading. The Utility Company sends SMS to the customers to inform them of their visitation or request that the Customers submit their meters for reading. In other word, Estimated Billing is the very last option as opposed to the practice or norm. a) That the non-metering of consumers by the DISCOs is a deliberate act of extortion of the consumers. b) That while the DISCOs complain of lack of fund to provide meters for consumers, many Nigerians have actually made payment for meters for as long as over 12 months and are still ready to pay a reasonable and agreed amount to be metered. 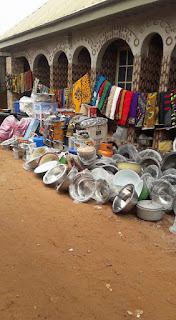 c) That DISCOs engage in act of intimidation of the consumers always threatening and disconnecting them illegally for refusal to pay the outrageous Estimated Bills. e) A consumer travels for as long as a month with the entire house switched off only to be slammed with outrageous estimated bill. f) Power supply for a cumulative period of 5-10 days in a month but bills keep increasing. g) That the DISCOs choose to supply power to their unmetered customer while the metered customers remain in darkness. h) That even though the NERC Regulations prohibit DISCOs from running a meter company, these DISCOs practically have stakes in the Meter Asset providers under their control. i) That even the consumers using the old analog meters are facing same over billing problem as the meters are never read by DISCOs. Where they the meters are read, the DISCOs still over bill the consumers. j) Refusal of DISCOs to repair or replace a transformer to refusal of consumers to pay estimated bills. The above and many more are what our constituents suffer from month to month and year to year. a. Why has the DISCOs elected to be dolling out estimated billings when actually the provision and installation of meters can ensure that consumers pay the actual bill consumed? b. Why will DISCOs not meter a consumer who has paid for pre-paid meter for a period of 3 (Three) months? c. Why should DISCOs disconnect a consumer who refuses to pay estimated bill when as a matter of fact he has applied and paid for pre-paid meter. d. Why are DISCOs dwelling on a very lame excuse of lack of funds for their inability to provide pre-paid meters for consumers when the consumers are ready to pay for meters? e. Are there no local manufacturers or importers of meters independent of the DISCOs? f. In summary, what genuine excuse can be proffered by the DISCOs for not metering the consuming resulting to this man inhumanity to man? These consumers are the reasons why we are here: to represent them and make laws to protect their interests. The complaints from the DISCOs can never be justifiable reasons for the continuing extortion of Nigerians as the consumers must not be made to pay for the challenges confronting the power sector. Some of the reasons adduced by the DISCOs are lack of funding, Energy theft, breach of the Service agreement between the DISCOs and the Federal Government, under payment of Bills by Consumers etc. On lack of funding, our position is that it was a huge fraud against the Federal Government and the people of Nigeria to enter into agreement to take over the distribution aspect of the Nigerian Power Sector when they did not have the requisite fund for such investment. On the issues of energy theft and underpayment of bills by consumers, all these will be over with the provision of pre-paid meters for all consumers. In this regard and ironically too, this Bill is actually in favour of the DISCOs. On the issue of breach of the Service agreement between the DISCOs and the Federal Government, the DISCOs must understand that the consumers were not parties to such agreement and must not be made to suffer for the breach(if any) by the Federal Government. It has been unarguably and unanimously agreed that the only time Nigerians are bounded together in unity in one voice regardless of ethnic, religion and tribal divide is when the Nigeria Super Eagles is out against other countries of the world in a game of football. 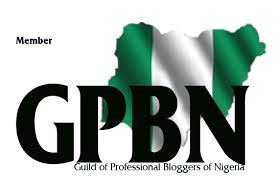 I can however not remember any other time in our history that Nigerians all over have been so united than this call for the eradication of the evil called ESTIMATED BILLINGS. From North to South and from the East to the West; the call is all the same. The most reasonable and acceptable way of doing this is the provision of NERC certified pre-paid meter for consumers. The defenseless victims of estimated bills across the country have cried out as we have received over 1000 complaints from all over the country. There have been protest by citizens and even NGOs against estimated billings. On the 31st day of October 2017, it was reported by the Nigerian Observer that Electricity Consumers in Edo State while protesting against estimated billings has urged the Benin electricity Distribution Company (BEDC) and other DISCOs in the country to put an end to estimated billings, non-metering, as well as commencement of complete provision of meters to consumers in country. The electricity consumers who lamented at the activities of Discos in the country, described their methods of estimated billings, as exploitative and unscrupulous. On the 5th of May 2018, it was reported by Channels Television that the Residents of Jikwoyi in FCT has taken to the street protesting against arbitrary power estimated billings. On the 18th of April 2016, it was reported that aggrieved consumers of Ikeja Electricity Distribution Company, Ikeja DISCO, made good their threat to protest the increasing poor service delivery by the company among others, as they stormed its Alausa headquarters, demanding improved services and end to crazy bills. Residents in Katsina have recently decried the outrageous estimated bills issued to them. The story is the same in Kano, Sokoto, Jos, Cross River and all over the Country. As a responsible government, we must listen to the cries of the people. The mass extortion of the poor with N18000 minimum wage is a crime that must be stopped. The Electric Power Sector Reform Act (Amendment) Bill before us is a 7-section bill that takes cognizance of the fact the power sector is a service industry where consumers pay only for what they consume. It is therefore criminal, economic sacrilege and high level corruption for any Nigerian to pay for services not rendered just as it is criminal for any consumer to steal energy. Section 31 of the Electric Power Sector Reform Act 2005 establishes the Nigerian Electricity Regulatory Commission (NERC). Section 96 of the Act gives power to the Commission to make regulations. The Nigerian Electricity Regulatory Commission (Methodology for Estimated Billing) Regulations 2012 was made pursuant to section 96 of the Act. Sections 1 and 2 thereof suggest that DISCOs may estimate the bills of consumers in the event that they are unable to read the meter or read same accurately. Issue arising is: why will the DISCOs not be able to read meter? There could be a lot of instances as aforementioned. But whatever the instances are, provision of pre-paid meters will automatically solve the problem. I wish to state further that any regulation or even law that allows the estimation of bills when the actual consumption of the consumer can be ascertain conflicts with the rule of natural justice. Therefore, the provisions of the Nigerian Electricity Regulatory Commission (Methodology for Estimated Billing) Regulations 2012 allowing the DISCOs to estimate the bill of consumers is repugnant to natural justice, equity and good conscience, and cannot stand. We are also aware of recent releases by NERC and its genuine efforts urging the DISCOs to stop estimated Billings. But the more NERC rolls these releases, the more the DISCOs defies them, hence this bill has become inevitable in the interest of Nigerians. Any regulation or laws with no punitive measure for breach is no law. Here in Africa, Estimated Billing has been outlawed. Ghana and South Africa are very good examples. 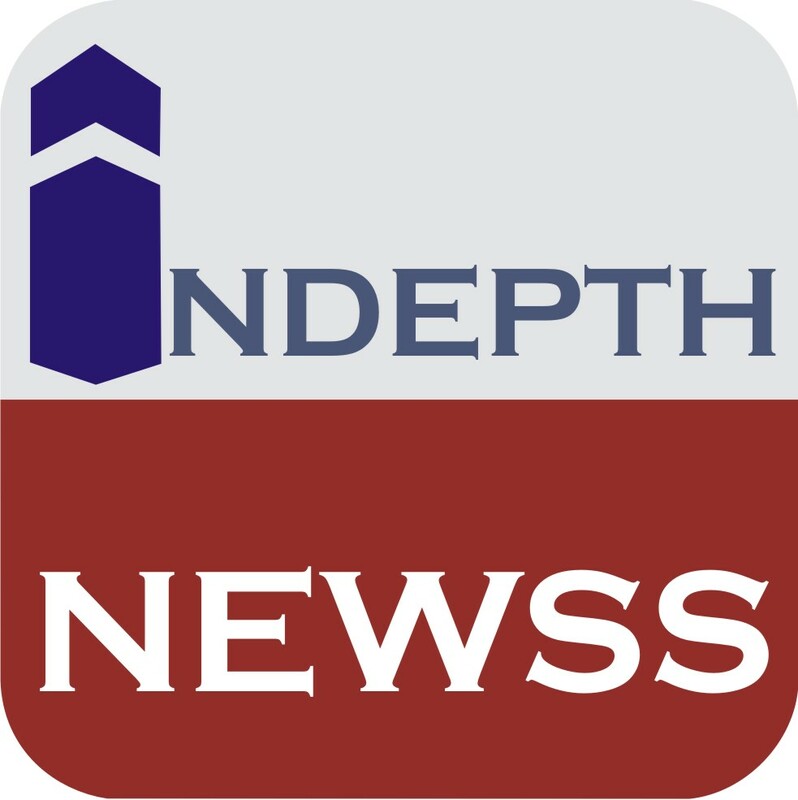 In the recent EUPHORBIA (PTY) LTD T/A GALLAGHER ESTATES V CITY OF JOHANNESBURG case in South Africa, Case number A5052/2015, handed down on 17 June 2016 in the Gauteng Local Division of the High Court, the Court held that a customer can refuse to pay an estimated bill if it is disputed. In such situation, the utility provider has a duty of proving that the bill is correct. This Bill if passed will put a stop to this estimated billing methodology used to extort our constituents by the DISCOs. Metering of consumers especially with pre-paid meters will ensure a fair deal for the DSCOs and consumers. The Bill when passed will ensure that a pre-paid meters are installed in the premises of all consumers provided they have applied and paid for the meter. The Bill when passed will ensure that funding will not be a problem as consumers will be made to pay before they are connected. The Bill, when passed will criminalize estimated billings with the prescribed penalty melted on the offending officers and DISCOs. The Bill when passed will protect the DISCOs and the Consumers. Finally the Bill when passed will place all parties in a ‘win’ ‘win’ position.